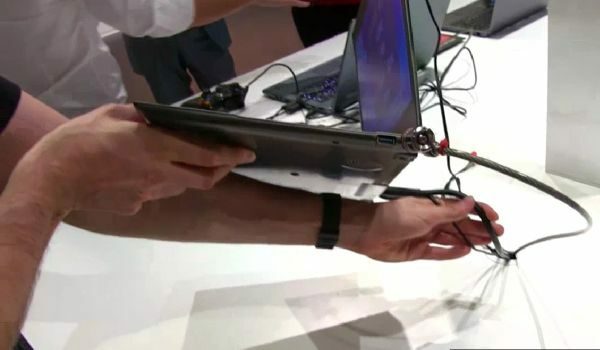 Toshiba might have brought two entirely new lines of ultrabooks to the public over in Berlin at the IFA 2012, but that doesn’t mean the old Portege Z830/Z835 has been forgotten. One of the best 13-inchers from last year has been refreshed and rehashed, and the result is now called the Portege Z930 (or the Satellite Z930, on some markets). The Z930 is as thin, light and elegant as its forerunner, but considerably ups the ante in terms of hardware and performances, while at the same time featuring a couple of small, but noticeable design tweaks. We’ve got some precious one-on-one time with the brand new 13-incher at the IFA, so what follows is a quick sum-up of Mike’s impressions from Berlin, but also of the features and pricing details announced by Toshiba. The Toshiba Portege Z930 highly resembles its older brother, with all the upsides, but also the downsides that come from this. As you might remember, Mike called the Z830’s design “boring” in his review, while complaining about the screen’s frame lightness and wobbliness. The Z930 might not be the Prince Charming of ultrabooks, but it’s a slim little guy. Now I wouldn’t go as far as say the Z930 looks “boring” or aesthetically unpleasing. It’s true, it doesn’t stand out of the crowd very much, but its thinness and metallic finish are… well, almost ideal. 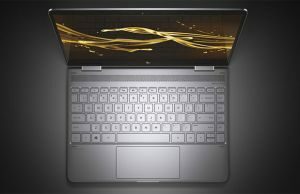 The brand new 13-incher weighs less than 2.5 pounds (1.1 kg) and measures 0.63 inches in depth, so it’s not just another highly portable ultrabook, it’s one of the most portable ultrabooks ever to be released. As for the display’s “fragility”, that’s unfortunately still there, so you’ll have to handle this one with much care if you plan on traveling a lot. Another one of Z830’s downsides was the unimpressive keyboard/touchpad combo. Toshiba seems to have put some work into this department too, but again things aren’t perfect just yet. The backlit keyboard is above average, with rather decent travel, but the responsiveness and accuracy leave a bit to be desired. We’ve seen better keyboards, but we’ve definitely seen worse as well. As for the trackpad, this is not very well-sized, but it has dedicated click buttons, and that’s always a plus for us. It’s sure nice to see Toshiba going ahead with a matte finish on this fellow’s display too, but we would have liked to also see a resolution upgrade. 1366 x 768 pixels is standard for a 13-incher (cough, mediocre, cough) and so is the TN panel, thus don’t expect very impressive viewing angles. You can also see in the hands-on video below that the display doesn’t lean-back very much, which is simply not cool. In terms of hardware, the Portege Z930 will offer you plenty of choices, starting with the processor, that can be a Core i3, i5 or i7 ULV Ivy Bridge unit. There are six pre-configured models ready to start shipping in a month or so, but Toshiba will also give you the chance to build your own laptop. The screen is matte, so you can use the Z930 in difficult lighting conditions. Aside from the different CPUs, you can go for between 2 and 8 GB of RAM and a 128 GB SSD or a 256 GB one. Unfortunately, there’s no option for a dedicated graphics card, so you’ll have to make due with Intel integrated graphics. The excellent battery life has been one of the Z830’s major good points, so it was predictable that the Portege Z930 will also come with plenty of “juice”. The 8-cell 47 Wh battery equipping all different Z930 models is listed as being capable of “up to 8.35 hours”, so there’s a good chance you might get a real-life autonomy of around six to seven hours. 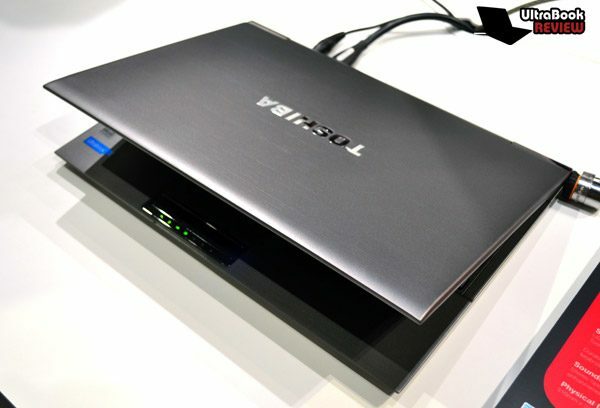 The Z930 is set to be rather impressive in terms of connectivity too, with all the ports you could need being fitted rather nicely on the 13-incher. There are three USB ports, VGA output, HDMI, Ethernet, an SD card reader, a Kensington Lock, and a headphone/microphone jack. Oddly, most of these are placed on the laptop’s back, which could make them a bit difficult to access. That lid might be wobbly and unstable, but it’s rather elegant. Toshiba might have just solved Z830’s noise issue as well, replacing the old fan with a much quieter one on the Z930. As for the heating, that wasn’t a problem on the old 13-incher, so we have no reason to think it’ll become one now. We don’t know exactly when the Portege Z930 will start shipping, but we do know it won’t be until next month. That is for the Windows 8 equipped versions, because the ones running Windows 7 Professional are already up for grabs. If you’re in a hurry to grab a Z930, you can get one for as low as $899.99 (an Intel Core i3-equipped model). If raw power is your thing, the most expensive pre-configured 13-incher goes for $1,479, with an i7 CPU and 6 GB of RAM. Those are the expected prices for the W8 versions too, so if you don’t mind waiting you should be able to get one of those soon. 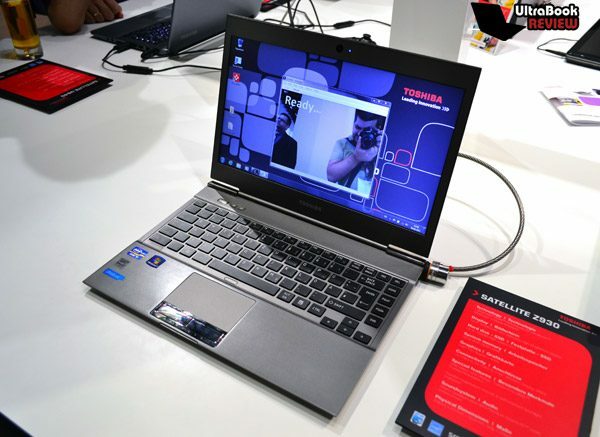 We hate repeating ourselves, but we have to again underline that the Toshiba Portege Z930 is not the perfect ultrabook. Then again, if you’re looking for perfection… good luck, but you won’t find it in the tech world! That said, if you have the necessary dough, the Z930 is one good-looking guy, but also one that won’t disappoint in portability and hardware terms. 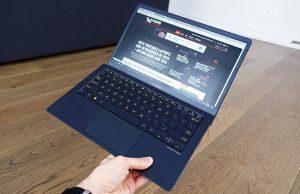 Now check out our exclusive hands-on preview of the Toshiba Portege Z930 below and don’t forget to let us know what you think of the new ultrabook in the comments section.